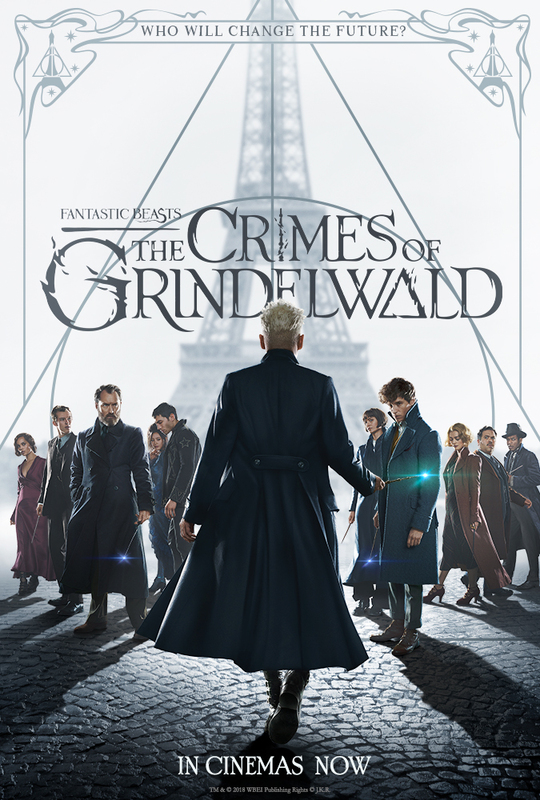 Fantastic Disappointment: The Crimes of Warner Bros.
As I, almost shamefully, revealed in my review of 2016’s Fantastic Beasts and Where To Find Them, I have not taken many advantages of J.K. Rowling’s Wizarding World. I saw Harry Potter and The Sorcerer’s Stone, but never continued watching the series. I read the first 15 pages of the first novel, but never continued reading it. However, that did not prevent me from enjoying the first of the adventures of Newt Scamander (Eddie Redmayne) and his suitcase of amazing creatures. Unfortunately, my lack of Potter-based knowledge did have a negative effect on my experience with its sequel. 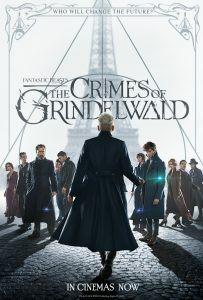 The Crimes of Grindelwald takes place at least a year after the events of the first film when the titular villain, reprised by Johnny Depp, manages to escape the custody of the MACUSA (Magical Congress of the United States of America) to continue his nefarious, pro-magic agenda. Scamander catches word of this incident from his former professor, Albus Dumbledore (played as a younger man by Jude Law), who requests his help in Grindelwald’s capture. That is as far as I will go in describing the story. This is not only due to my typical avoidance of potential spoilers, but also because that particular plot was the only one of the many subplots jampacked into this film. Of course, we see endearing returns from the likes of New York City baker Jacob Kowalski (Dan Fogler), his love interest Queenie (Alison Sudol), her sister and Auror (magic cop) Pepertina “Tina” Goldstein (Katherine Waterston), and troubled Obscurial Credence Barebone (Ezra Miller), but even their contributions to the plot(s) get overshadowed by the film’s aggressively dark and cluttered narrative. One thing that I do find fascinating about the story is the dynamic between Dumbledore and Grindelwald as two sides of the same coin. Like Martin Luther King Jr. and Malcolm X during the civil rights movement, they are both after the liberation of their historically disenfranchised people, yet have uncompromisingly different ways of achieving it. Dumbledore wants peace among wizards and muggles, but Grindelwald wants to assert magical dominance. I wish that this theme could have been explored more deeply, but I suppose I will have to wait two more years to see the inevitable continuing chapter in this planned, five-movie prequel series. Which brings me to my final and most crucial issue with this film: it fails to, nor has any interest to, stand on its own. Seeing the original film, plus the previous eight Harry Potter films, is essential to understanding the story and its many references and seeing the upcoming sequels will be required to reach a satisfying conclusion. Grindelwald is not much more than set up for another way for Warner Bros. to make money and is a disappointing reminder that some things that we see on the big screen are not much more than a product.